There's no doubt Clyde Geer is a collector, but exactly what the McKinney man collects may be up for debate. "Don't talk to my wife, because according to her, I collect junk," said Clyde Geer. Tucked inside McKinney's historic Chestnut Square sits his proudest collection - 300 old ice cream freezers. The oldest date back to the late 1800s. Geer started collecting the freezers decades ago, and a fellow collector, who once held the the Guinness World Record for owning the the most freezers, donated his collection to Geer upon his death. "Everyone of them has a story," said Geer. Walking around the museum named in his honor, Geer can point to many of them and explain what makes them unique and how he acquired him. "They're all my favorites. They're just happy," said Geer. He'll tell you each freezer is worth preserving for the memories they helped create. 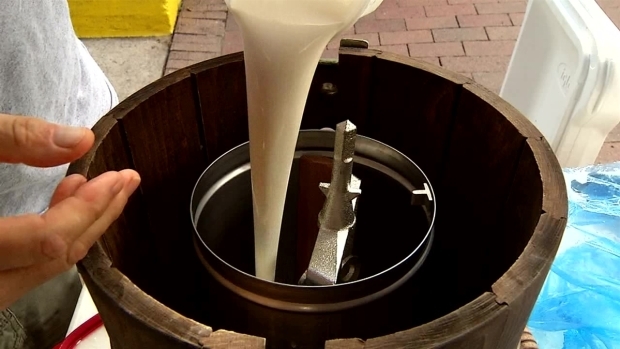 "What I've learned is when you mention homemade ice cream, it always generates a smile. Nobody frowns when you talk about ice cream," said Geer. It's why he wanted his collection on display for everyone to see. "I want [visitors] to take away the joy of family and doing things together as a family. I think that's what ice cream does," he said. He hopes seeing the old hand-cranked freezers will take people back to memories of their childhood and simply make them smile. And maybe that's what he truly collects. "I see lots of smiles. Lots of smiles," said Geer. Geer also started the annual Killis Melton's Ice Cream Crank-Off in McKinney. A contestant in Mckinney's Killis Melton's Ice Cream Crank-Off shows how he makes homemade ice cream from scratch. 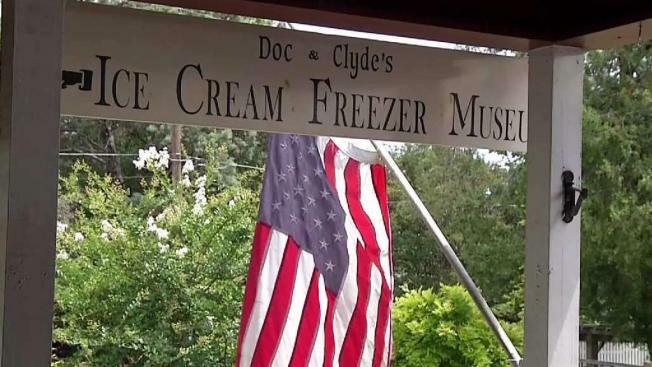 Named for his father-in-law who came up with the idea, the annual event allows people to compete and sample the best homemade ice cream, along with live music, magic shows and kids' activities. The event happens Sunday, June 25 at McKinney's historic Chestnut Square. CLICK HERE to learn more.